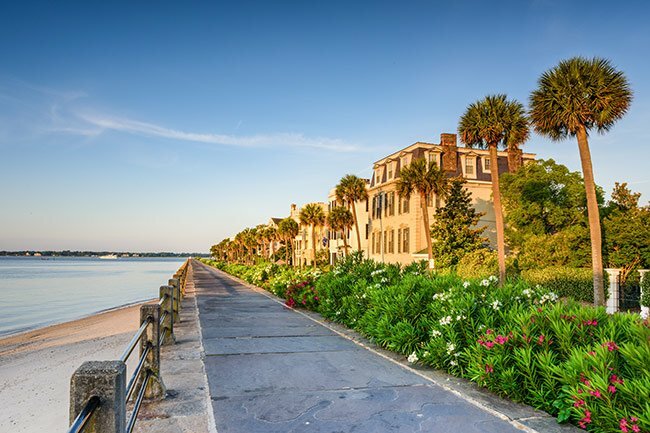 The Battery is a fortified seawall at the southernmost tip of the Charleston peninsula, where the Cooper River and Ashley River meet. 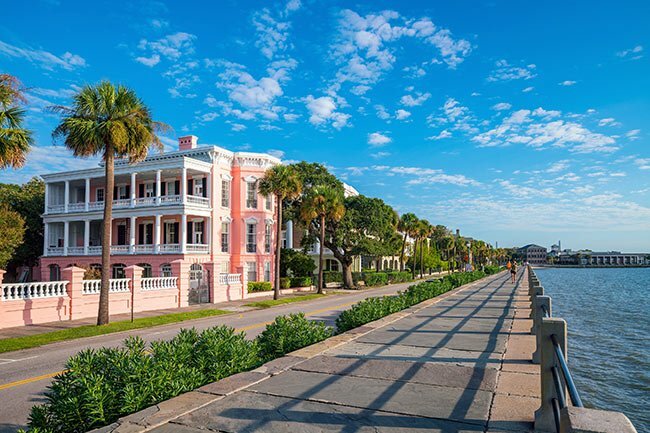 With its scenic promenade and historic park, the Battery is easily one of downtown Charleston’s most beloved spots. 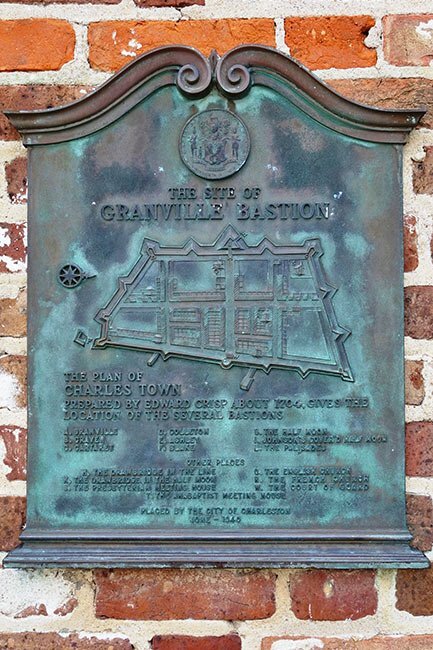 This strategic point was very important to the early history of Charleston. In 1737 Broughton’s Battery (later known as Fort Wilkins) was built here. It remained in service until the 1780s. 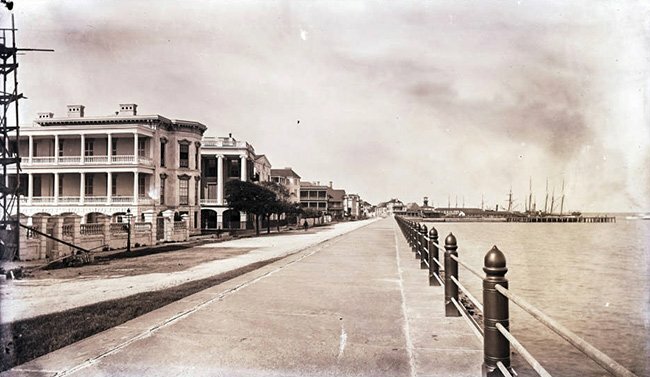 The seawall pictured above was built during the 1750s using large boulders, stone, and masonry. Broughton’s Battery was decommissioned and demolished in 1789, but when the new wall and its promenade were completed in the 1820s, locals still commonly referred to it as the Battery. 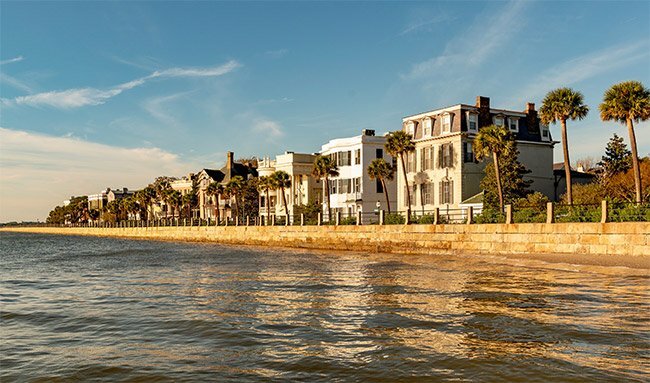 Today, the Battery is lined with historic homes, and its harbor-side promenade offers incredible views of Fort Sumter, Castle Pinckney, and the Sullivan’s Island Lighthouse. 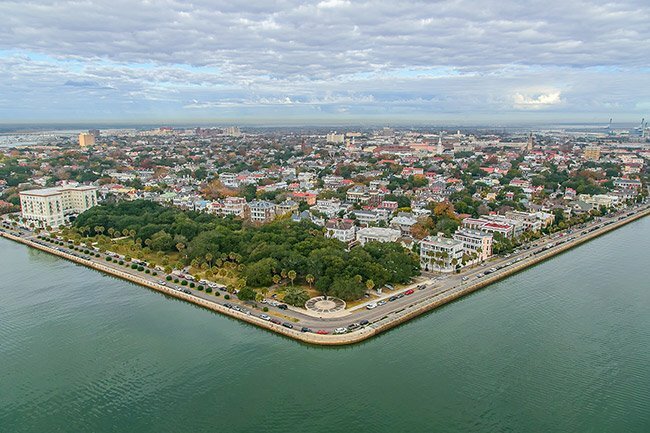 However, the centerpiece of the Battery is White Point Garden, which received its name from the huge piles of bleached oyster shells that originally covered the ground. White Point Garden boats large, shady oak trees and oyster shell pathways that take visitors by statues, cannons, and memorials. 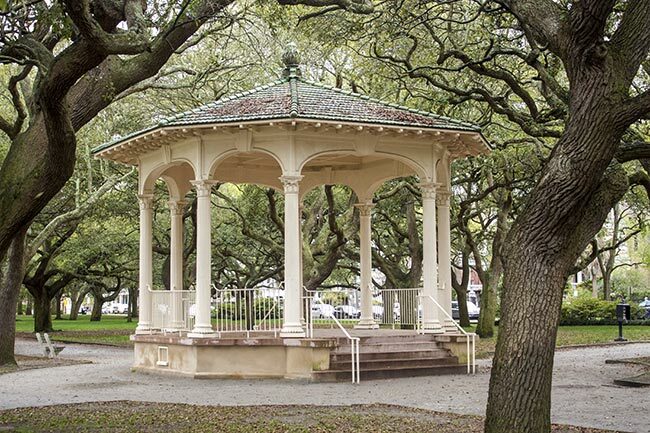 The Williams Music Pavilion, a 1907 bandstand, sits in the middle of the park and still hosts concerts as well as weddings and picnics. What a beautiful comment to read Nancy, thank you for sharing a portion of your story with us! We are so sorry for your loss and hope you find peace in your memories and through photos! My husband Fred was a submarine sailor, myself, a Navy wave, we spent many hours at The Battery, in the gazebo falling in love, planning our lives together. it lasted 56 years until he went home to be with his Lord April 2018. 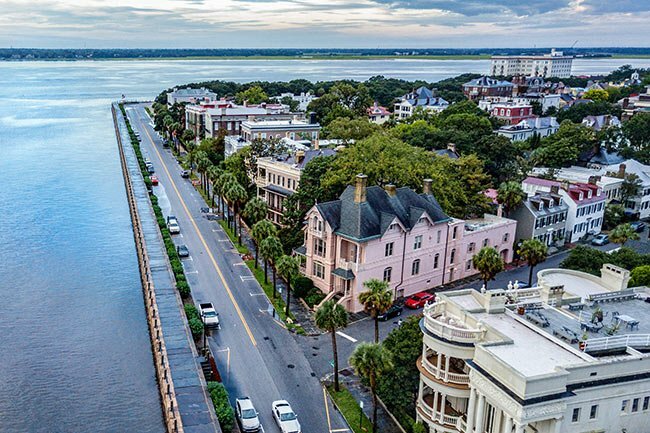 We forever love the Battery and Charleston. Before I was born, my paternal grandmother left SC. She and her family made several westward migrations until they finally ended up in California, where I was born. 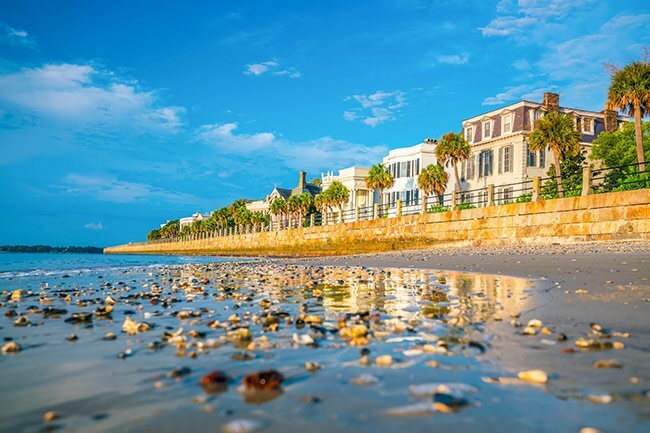 But last year I visited my daughter and son-in-law, who make their home in Sumter, SC, and they took me to see Charleston. Although I'd never been there before, it was like going home. What an absolutely beautiful city. So much history! I hope to return many times. Just this past weekend, we spent several (about 4) hours with my adult son and daughter at the Battery. We almost didn’t go, in lieu of seeing Patriots Point. 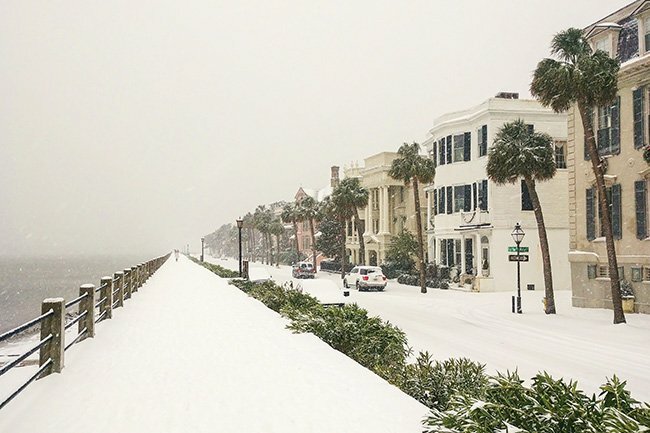 We made the decision to go to the Battery, and we are so glad we did. 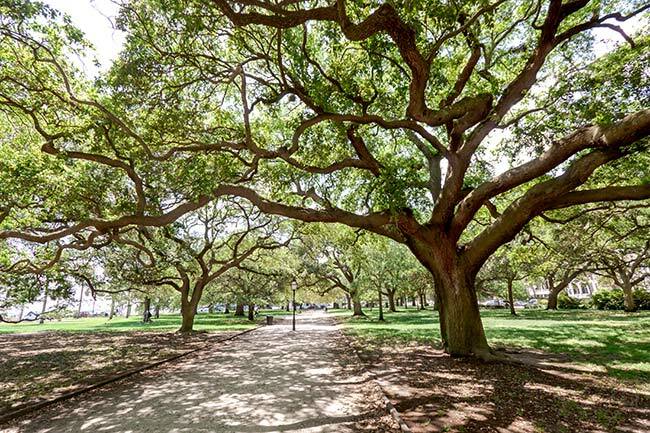 This is an absolutely beautiful park, the trees and canopy is incredible. 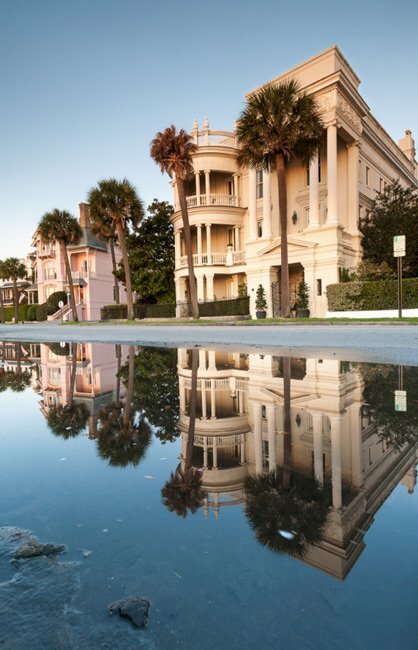 Every road we walked down we found stunning architectural features on these majestic homes. Simply said, don’t miss it. We’ll get to Patriots Point on our next visit. I have a great photo of the battery, when the cannons were still in their original places against the seawall. Would you like to have it for your website? From 1964-1965 I was stationed at the shipyard while our submarine was being overhauled. I remember this areas with fond memories. It was a great time in my life and I will always remember it. 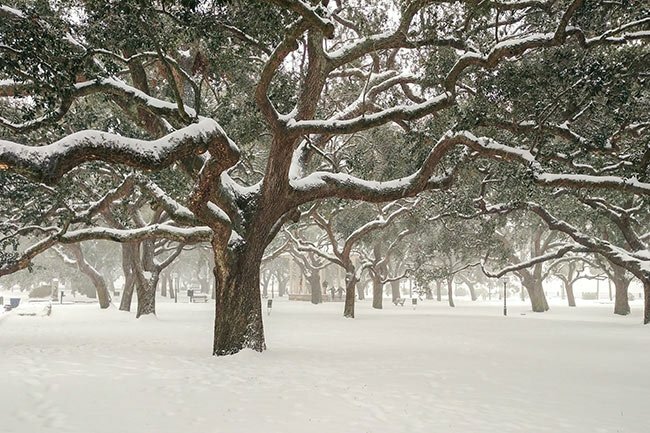 My wife and I moved to Florida eight years ago from New Hampshire — I hope we can visit Charleston again soon.